In addition to details of a veteran’s military service, these types of applications are a rich source of genealogical information, such as a veteran’s age or date of birth, residence, birthplace, and even information about his wife (or widow) and children. Because veterans and their widows or heirs often submitted certain documents along with their pension or bounty land applications, within the Revolutionary War Pensions you may also find commissions, discharges, military orders, muster rolls, deeds, wills, receipts, diaries, journals, letters, marriage certificates, and newspaper clippings. Let’s look at an example of one of these application files—that of Jonathan Libby—and see what kinds of things we can learn from it. 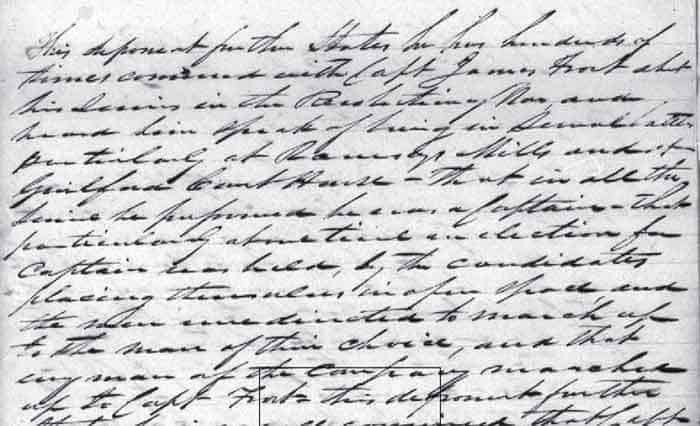 As we skim through the pages, we quickly find that this file contains three separate widow’s pension applications submitted by Jonathan’s widow, Abigail, over the course of about seven years. As we dig deeper into the file, we discover that although Jonathan was living in Scarborough, Maine, he enlisted in the Massachusetts Line in March 1777, with Richard Maybery (or Mayberry) as his company captain and Colonel Francis—and later Colonel Tupper— his regimental commander. While serving as a sergeant, ensign, lieutenant, and then captain, we learn from the journal included in his file that he participated in the battles of Hubbardton, Saratoga, White Marsh, Monmouth, and Stony Point before being discharged on 18 March 1780. 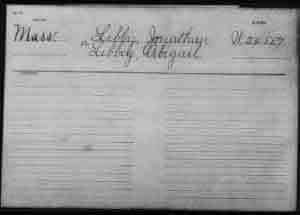 From the file, we also learn that Jonathan and Abigail were married on January 27, 1781 (or 1784) in Scarborough, Maine, and that Abigail’s maiden name was also Libby, being a “remote relative” to Jonathan. They had 10 children together, 3 of whom predeceased their parents. Jonathan died in Maine on March 21 (or 15), 1805, at the age of 52, and his wife never remarried. Abigail, who was 74 in August 1838, applied for a widow’s pension under the acts of 1838 and 1843 and received $269.33 per year, which was then increased under the 1844 act to $334.33. That’s quite a bit of information from one file! Find out what you can discover about your own Revolutionary War ancestors in Fold3’s Revolutionary War Pension Files. my third great Grandfather, Notley Masters was a participant on the side of the Patriots at the battle of Musgrove’s Mill. He is listed as a Private in rank.